First Day of My Life: 400 Follower Giveaway! I love God. I love Bible stories. I love art. I love faith based art. I love Grace for Grace's eTsy shop. I love Tiffany, the owner. I strive to be a Proverbs 31 woman - so this is a perfect giveaway! I love YOU for being a wonderful reader. Thank you for your sweet comments, sweet e-mails, awesome tweets! Beautiful Bible verse on a 5.5 x 5.5 Wood Block. Yay, just love giveaways! :) Congrats on reaching 400 followers. I hope I can get there one day! I love your blog, I can't really think of anything I would like to see more of at this moment. I have more than one verse that means something to me, but I like this one. Love this giveaway!! She has some really cute stuff!!!! But because of His great love fr us, God, who is rich in mercy made us alive with Christ even when we were dead in transgressions-it is by grace you have been saved! My favorite verse is Romans 12:1-2. It has been my fav since I was in 4th grade when I first memorized it. I love the image of being a living sacrifice and being transformed, while not conforming. I just love seeing your Thankful posts!! 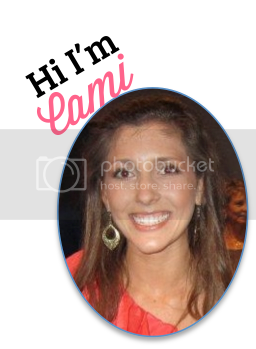 :) This is a great giveaway, Cami! I would love to see more posts about living in FL! Awesome giveaway too! Love you doll! I ,too, love Romans 12:1-2 :) Same reason from Angela above me. I love the statement of being transformed. Tiffany just made me a sign with that verse! I LOVE it!! She is amazing! great giveaway. thanks! I love your blog how it is. what an awesome giveaway, cami! and a talented artist! i love etsy. and i love decor/artwork like this...anything inspirational always catches my eye. this verse has brought me through some of the toughest and most beautiful times in my life. it is very dear to my mom. and we both have many pieces that carry the saying. Hi girlie! I came by to check our your giveaway:) I guess great minds think alike. I look forward to reading/hearing more from you. Have a blessed day! My favorite bible verse is "Delight yourself in the Lord and He will give you the desires of your heart".